Sensitive skin is like the middle child of the family, we acknowledge its existence, but it is often overshadowed by its siblings, dry skin and oily skin. Due to this, it is quite hard to find products such as sunscreens, which are extremely necessary for India but are rarely made to meet the needs of this skin type. That’s why we’re here to help people with this overlooked skin type to understand how they can choose the best sunscreen for themselves. We’ve also included our list of recommendations for the top 10 best sunscreens for sensitive skin that you can buy online in India, so all you need to do is choose! Sunscreen is usually the final step to morning skincare routines, and choosing the wrong one could end up clogging your pores, irritating your skin, and making you look ashy. Hence, you should keep the following points in mind to buy the best one for sensitive skin. Sensitive skin is not just sensitive, it is also usually either dry or oily, which complicates matters even more, so you should choose the texture based on what type of sensitive skin you have. Those with sensitive and oily skin should opt for oil-free or water-based formulas, which have a lighter consistency, so it doesn’t clog the pores and prevents breakouts. The consistency should ideally be watery, and shouldn’t feel heavy on the skin. Nourishing, creamy formulas are best for those with sensitive and dry skin, as they add an extra layer of moisture to prevent the skin from getting flaky and tight. Since drier skin types can also appear duller, such formulas are also great for adding some much-needed glow to the skin. Most regions in India receive plenty of sunshine all year round, and although we may enjoy it during the colder months, it’s not that great during the summertime. The level of UV rays can also be quite high, so you must make sure that the product you’re buying will be able to protect your skin from the harmful rays. If you’re often out during the peak hours, then we would suggest getting a sunscreen that is at least SPF 50 with PA+++ to ensure your skin’s protected. If you’re only out in the sun early in the morning or after peak hours, then a sunscreen with SPF 30 with PA++ would be good enough for you. This is probably one of the most important steps, not only to check whether the ingredients suit your skin but also to make sure that the sunscreen does not make you look ashy. While it’s hard to list all the ingredients your skin could react to as everybody’s skin is different, as a general rule, you should avoid products with oxybenzone and any ingredients that end with cinnamate. Additionally, you should also stay away from heavily scented products as these tend to irritate sensitive skin types quite easily too. 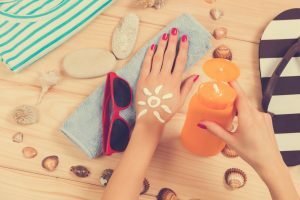 Physical sunscreens contain either titanium dioxide, zinc oxide, or both, as active ingredients, which sit on your skin to form a physical barrier that protects you from the harmful rays of the sun. Although physical sunscreens are great at protecting your skin, they often result in a white cast on darker skin tones. To avoid looking like a white walker, you either have to really work them in or opt for something that doesn’t contain these ingredients. Chemical sunscreens are the types that do not use these ingredients but make sure you try those once before buying, as they can occasionally cause irritations. We’ve kept you waiting for quite some time, but now that you know how you can choose the best sunscreen for yourself, here is our list of top 10 best sunscreens you can buy online in India. Although most of the products may seem really expensive initially, Amazon and Nykaa often have discounts on them, so you probably won’t have to spend as much! This lightweight sunscreen is perfect for those with sensitive and oily skin as it has little to no fragrance and it doesn’t cause acne. Although it has zinc as well titanium, it is absorbed into the skin really quickly, so you do not get the terrible white cast. The SPF is also really high, so it would be great for those who spend long hours in the sun. Those with dry and sensitive skin should choose a more hydrating formula though, as this one would not provide enough moisture for their skin type. It is also quite an expensive product because it’s only a 30 ml bottle, and since the consistency is almost like a lotion if you’re not careful, it will run out pretty quickly too. 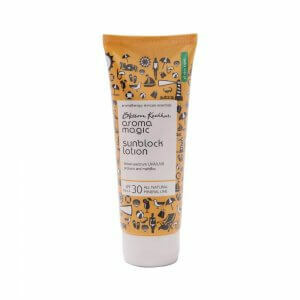 This unique sunscreen suits both dry-sensitive skin, as well as oily-sensitive skin, and is recommended for those who want to skip the extra step by using a product that works as a moisturiser and a sunscreen. It blends easily, and since it is a chemical sunscreen with no titanium or zinc, it does not leave you looking ashy after application. Although, the SPF levels are quite low, so if you’re going to be spending a lot of time outside during the peak hours, then this would not be able to give your skin enough protection. It also contains methoxycinnamate which can irritate those with extremely sensitive skin, so it is crucial that you do a patch with this sunscreen. If you’ve got really dry and sensitive skin, and are need of a moisturising sunscreen, then this is the one for you. It has a very thick formula which is great for dry skin, as it adds another layer of protection. 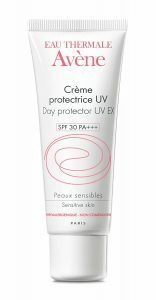 It doesn’t have any fragrances and is waterproof as well, so even if you live in a humid area, this sunscreen won’t fail you. It does have a low SPF though, which won’t be enough if you’re out in the sun for long hours. It is also difficult to use this as well because it’s so thick that it takes a while to spread it properly, and if you don’t spread it, it leaves behind a white cast. 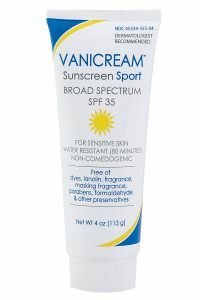 It is also quite easy to use too much and end up looking greasy with this sunscreen. 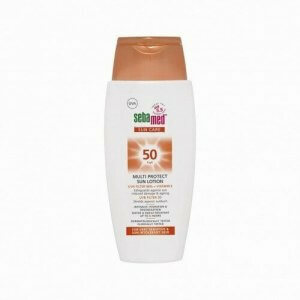 The most affordable sunscreen on this list, this product contains lots of natural ingredients, which are great for those who do not spend too long in the sun. It is particularly recommended for oily and sensitive skin, who want a sunscreen with a watery texture that absorbs into skin easily, feels lightweight, and does not cause breakouts. However, if you have dry skin, this wouldn’t be the best option for you as it would not be hydrating enough for your skin. Despite the watery texture, it still leaves you looking a bit chalky, and it is not a waterproof formula, so if you live somewhere with high levels of humidity, you’d have to reapply this sunscreen every 2 to 4 hours. Although this sunscreen contains titanium dioxide, it doesn’t leave you looking like a ghost in any way, so it is highly recommended for those with darker skin tones. It has a lightweight formula with aloe extract, which sinks into the skin really quickly, and works well for those with dry -sensitive skin, as well as those with oily-sensitive skin. This is the most expensive sunscreen on the list though, and even though you only need a small amount every time, it won’t last for more than a month or two. 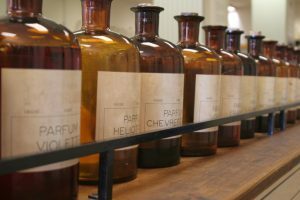 Furthermore, it is a mildly scented product, which could be a problem for those with extremely sensitive skin, especially those who are allergic to perfumes and alcohol. 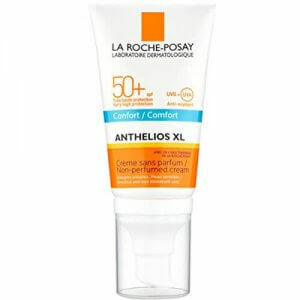 Those looking for sunscreens for somewhat dry and sensitive skin will love this product. Although it has a runny consistency, which makes it really easy to blend, it provides enough hydration to prevent dry skin from looking flaky. It has a high SPF level, is fragrance and paraben free, and it doesn’t leave you looking ashy either. However, despite its lightweight texture, if you’ve got oily-sensitive skin, you will probably not like this product as much as it could make your skin appear quite greasy. Additionally, while the runny consistency makes it easy to blend, it also makes it hard to pump out the right amount, and you may end up using too much. This super absorbent, fragrance-free, lightweight sunscreen is great for those with dry skin as it gives them enough moisture and hydration. Even though it has a cream formulation, it absorbs almost as quickly as water-based sunscreens. It also has a high amount of SPF, so you can stay in sun as long as you want, without any worries. The only reason that this product didn’t make it to the top is its price tag; even though it has several great points such as being easy to blend and not leaving a white cast behind, it might still be difficult to justify the cost. Although, you only need a small amount, so if you were to use it carefully, you could get your money’s worth. One of the best products on the market, this lightweight sunscreen almost feels like a lotion and suits both oily and sensitive skin, as well as dry and sensitive skin. Those with oily skin can simply use this in place of a moisturiser, while those with dry skin can use this as a second layer of protection as it is quite hydrating. It is particularly recommended for those who tend to spend a lot of time in the sun as it has a high SPF, and you can easily blend it in to prevent it from looking chalky. 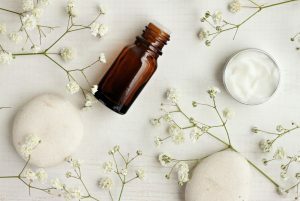 It has a mild fragrance, but it does not cause any irritations or breakouts, and since the quantity is quite a bit, it is also pretty cheap if you consider the cost per use. One of our top recommendations, this sunscreen is particularly recommended for those with sensitive and oily skin, as the formula for this product is really lightweight and doesn’t clog pores. Since it doesn’t have any zinc or titanium, even those with darker skin tones can apply it without worrying about looking like ashy. This sunscreen does have a light citrus smell, but it doesn’t cause any irritations or acne, so you need not worry about it. 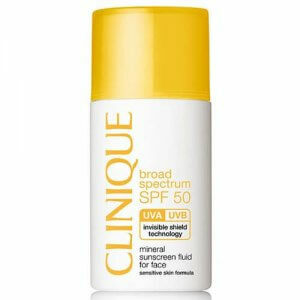 It also has a high SPF level, so it would be great for those who spend long hours in the sun. Although it seems expensive initially, you get a lot of product, and a little goes a long way with this, so it’ll last you for quite a while. The best sunscreen for sensitive skin on the market, this product would be especially great for those living in humid areas, who have sensitive, oily, and acne-prone skin. It has a sweat-proof formula that won’t melt away with the heat, and although it is has a non-greasy feel, it is better for those who like a dewy, rather than a matte finish. It is not that expensive compared to other options, and you only need a little to cover your whole face, so it is more economical than it seems. It has a high amount of SPF to keep you safe even if you spend lots of time in the sun. Additionally, it has a lightweight texture, which is absorbed quickly and doesn’t leave behind a white cast. No matter how popular a product is, some products are just not made for us. Therefore, before you use the sunscreen all over your face, we recommend doing a patch test on your hand, just to make sure that it is safe for your skin, and won’t cause any irritations. It can seem really hard trying to find cosmetics, especially things like sunscreens, which tend to contain a lot of difficult to understand ingredients, and are usually geared towards oily or dry skin. However, all chemicals are not bad, and there are several products available, as we’ve listed above, that are suitable for sensitive skin as well. We hope after reading our article you feel confident enough to choose the right sunscreen for your sensitive skin, knowing exactly what you should be looking for. We also hope that the list of recommendations we provided made it even easier for you to select one for yourself and get your hands on the sunscreen of your choice.